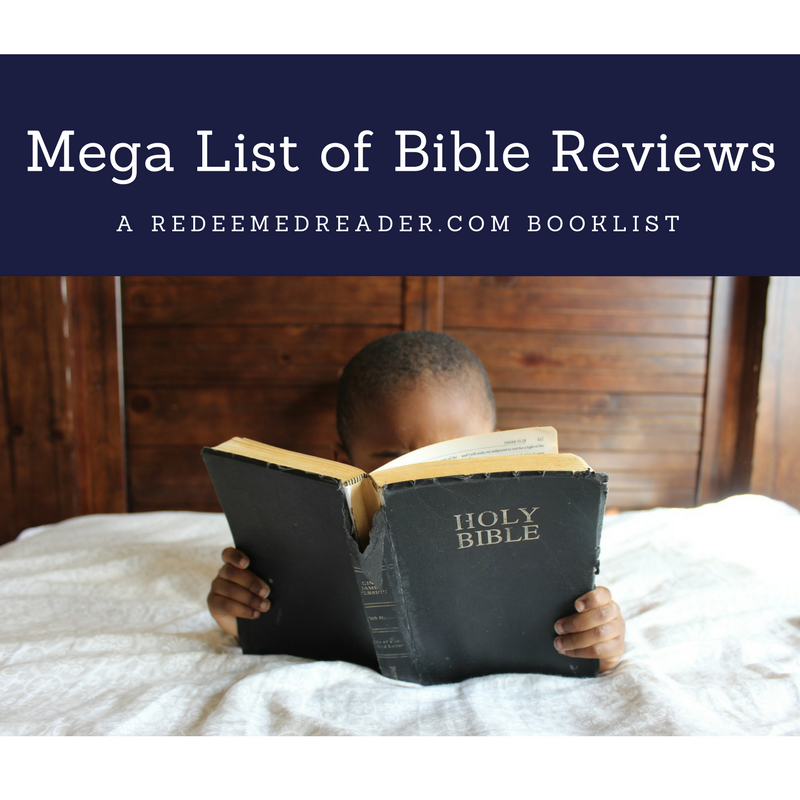 Mega List of Bible Reviews! Here in one handy post are all the children’s Bibles reviewed over the last six years by RedeemedReader, with links. 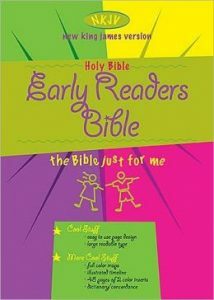 I (Janie) started reviewing children’s Bibles five years ago, never imagining what an involved task it would be. The first post, “Sorting Out the Children’s Bible Market,” was one of our top-rated posts ever, which told us there was some interest in wading through the ever-increasing selection. 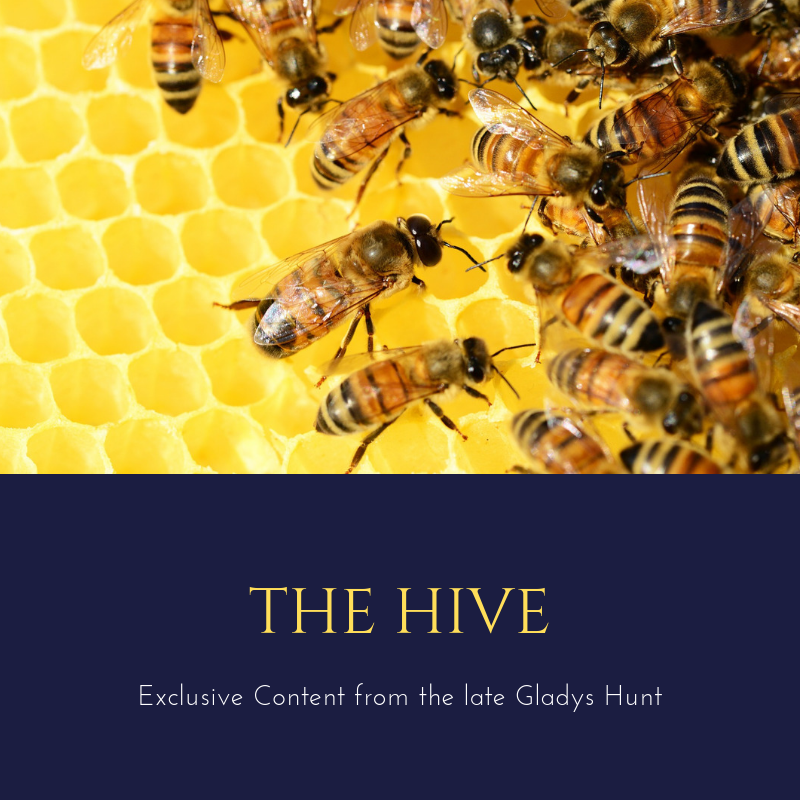 Every year the publishing industry coughs up at least four major new editions for the children’s market, and almost all of them have some value beyond the text itself. 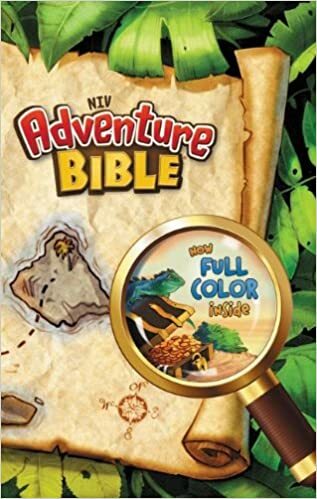 Zondervan, which holds the copyright for the NIV and NIrV, is the undisputed leader in the field, ever since the debut of the now-classic NIV Adventure Bible, with its Safari theme and colorful in-text features. But Crossway has not lagged far behind with various editions of the ESV. Tyndale has several children’s versions of the NIV on the market, and now Boardman & Holman has put out a suite of CSB’s (formerly HCSB), the latest major Bible translation. Then there are illustrated editions of the KJV, NJKV, ICB and CEB, and an array of covers with rhinestone crowns, cupcakes, action figures, and Star Wars. Study Bibles. Every major translation has its flagship study Bible: a hefty chunk packed with charts, theological articles, concordance, maps, and tons of notes, sometimes taking up more of a given page than the text. In the children’s publishing world, the “study” part usually take the form of in-text features like word definitions, Bible facts, book summaries, and lists of characters, themes, events, etc. 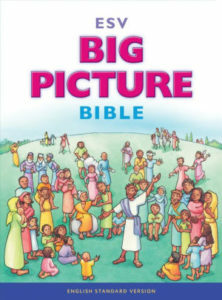 The NKJV Early Reader’s Bible and NIV Kids’ Visual are good examples of this sub-genre. Devotional Bibles: In the adult section of your local Christian bookstore, this is where you’ll find the specialty versions for women, dads, armed forces members, homeschool moms, even policemen. 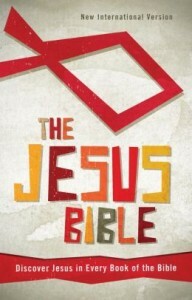 Children’s devotional Bibles are not that specific, but often lean toward a particular theme, often gendered, such as the NIV Bible for Teen Girls and NIV Revolution. More generic is the NIrV Love Letters from God. The features lean toward application and often include sketches of major Bible characters. Reading Bibles: These are light on additional features, but may add brief book introductions and full-color inserts scattered through the text. The inserts contain basic information such as books of the Bible arranged by classification, lists of kings, the Ten Commandments, and the miracles of Jesus, as well as hints on how to study the Bible or how to pray. 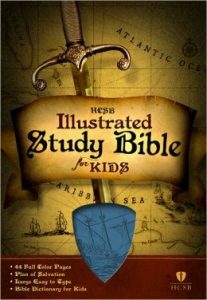 This is a catch-all category: heavily-illustrated versions, coloring Bibles, and popular themes (like Minecraft, Star Wars, Under the Sea, Legos) qualify as reading Bibles, as long as they don’t have a lot of study helps or extensive notes. Resource Bibles: I don’t know what else to call them. These are highly specialized Bibles with features that seem limited for the individual reader but could be useful as a resource for teachers, children’s church leaders, or CE organizers. The features are geared more toward activities than quiet reading or study; I put the NIV Kids’ Quiz, NIV Hands On, and NIrV Seek & Explore in this category. Naturally, devotional Bibles will contain some study helps, study Bibles may include significant application, and resource Bibles will have some useful information. Sometimes the divisions are not so black-and-white, but understanding in general what type of Bible you’re considering for purchase, and how it will suit your particular child, can help you make a wise decision. I hope that helps. Now for the list, which doesn’t cover all the children’s Bibles out there, but should give you a pretty good idea what’s available. I hope to get around to annotations later, but for now, follow the links for our reviews. Be aware that most of the editions below are available in a variety of colors–what you see in the review is probably not your only option.